The phase I of the railway overbridge was inaugurated in 2014. 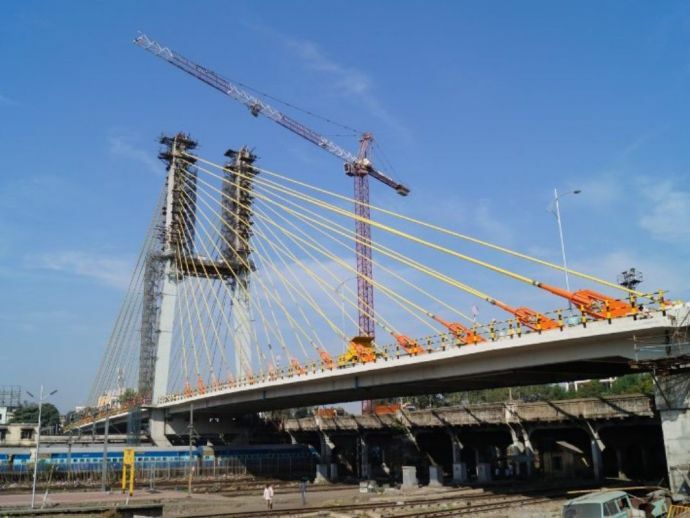 After a wait of almost twelve years, the phase II of Ramjhula railway overbridge (ROB) will be open for the public from January 2019. According to the information obtained from the Maharashtra State Road Development Corporation (MSRDC), while the main structure is ready, only miscellaneous works like construction of footpath is left. The work order of the phases of Ramjhula was issued way back in 2006. It was then expected to get complete by 2009. However, the project was constantly delayed due to several reasons. After the phase one of the project was inaugurated in 2014, MSRD demolished the old ROB and the work of the phase two commenced. “We had problems in acquiring railway land. Then, there was a problem in the procurement of cables from South Korea, Japan and South Africa. The obtaining of various permissions from railway also got delayed," TOI quoted a source form MSRDC. Initially, the estimated cost of the project was Rs 46 crore. However, the cost escalated by over 150%. So far, Rs 113 crore has been spent and some more money will be used in the finishing work. The six-lane structure is 56 meters in height and 600 meters long. The length of the cable-stayed bridge is 200 meters.